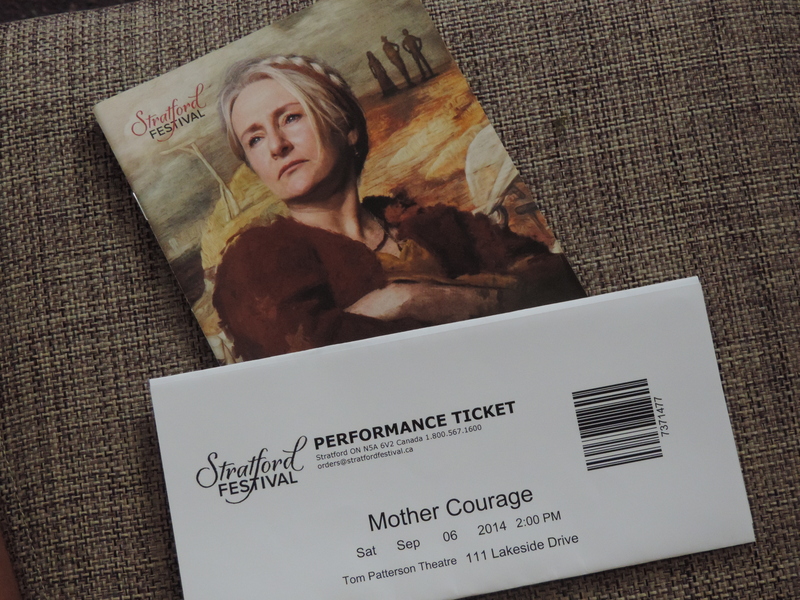 My sister and I started going to the Stratford Festival (back then still the Shakespeare Festival of Canada) more than a decade ago when I was finally deemed old enough to rent a car with a European drivers license. We returned almost every year since (it is quite a distance from Vienna, so it doesn’t always work out) and are bringing a friend with us for the third time now. I’m starting to think the Festival is affiliated with the Borg – resistance is futile. 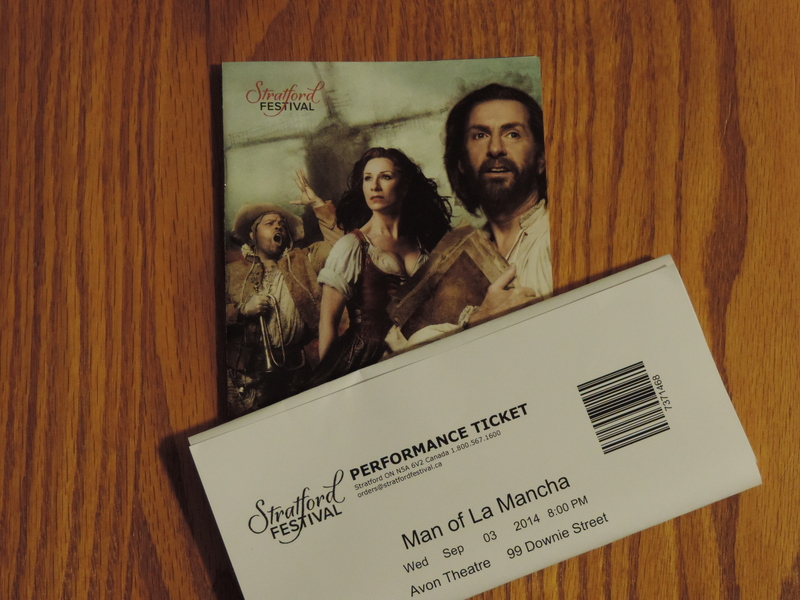 First up in this year’s edition of our annual-ish visit was Man of La Mancha starring Tom Rooney in the roles of Miguel de Cervantes and his creations Don Quixote/Alonso Quijana, Robin Hutton as Aldonza/Dulcinea and Steve Ross as Sancho Panza/Manservant. 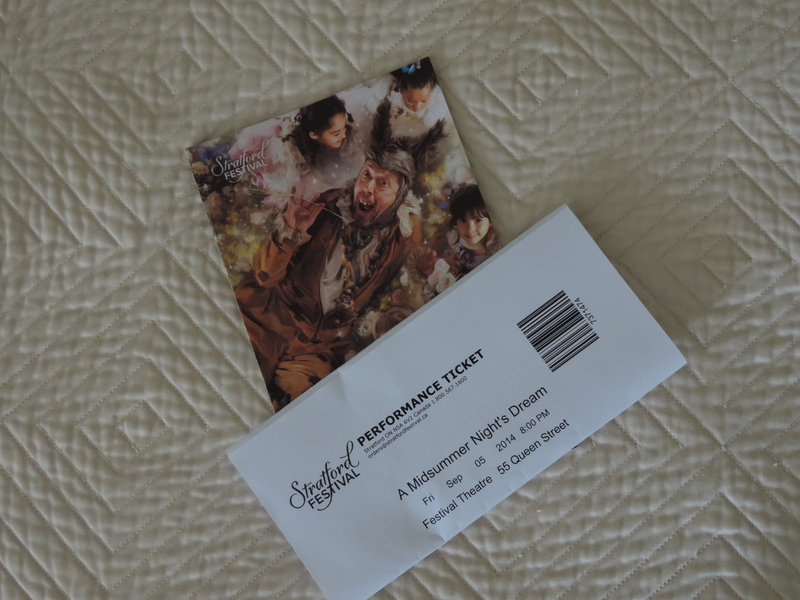 For someone who doesn’t consider herself a big fan of musicals, I surely watch a lot of them at Stratford. That could be because they haven’t disappointed me yet. 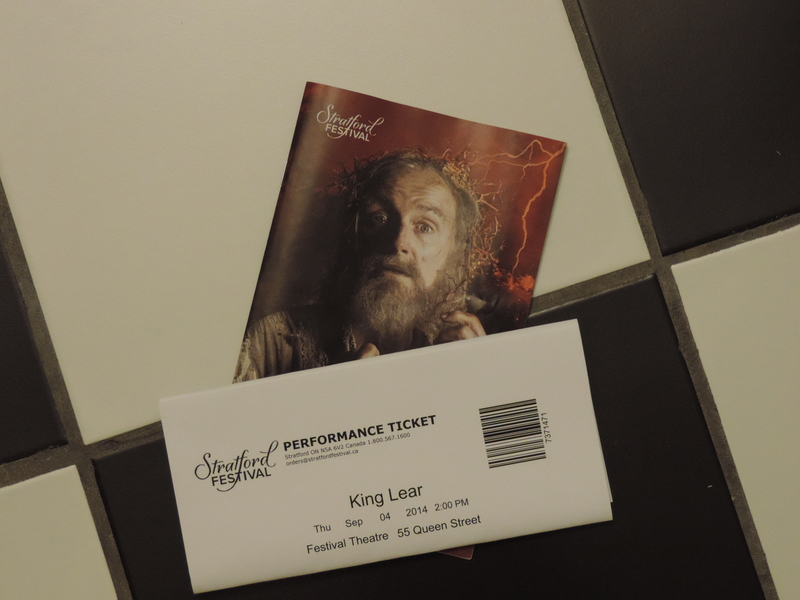 On the contrary, their stellar production of Jesus Christ Superstar a few years back garnered so much critical acclaim and attention, it went on to Broadway. I also couldn’t say when I had as much fun in a theatre as two years ago at the Pirates of Penzance. Man of La Mancha didn’t disappoint either. Even before the actors arrived on stage, the stage setting was a sight to behold. It’s incredible what the set designers and carpenters at Stratford create every year. 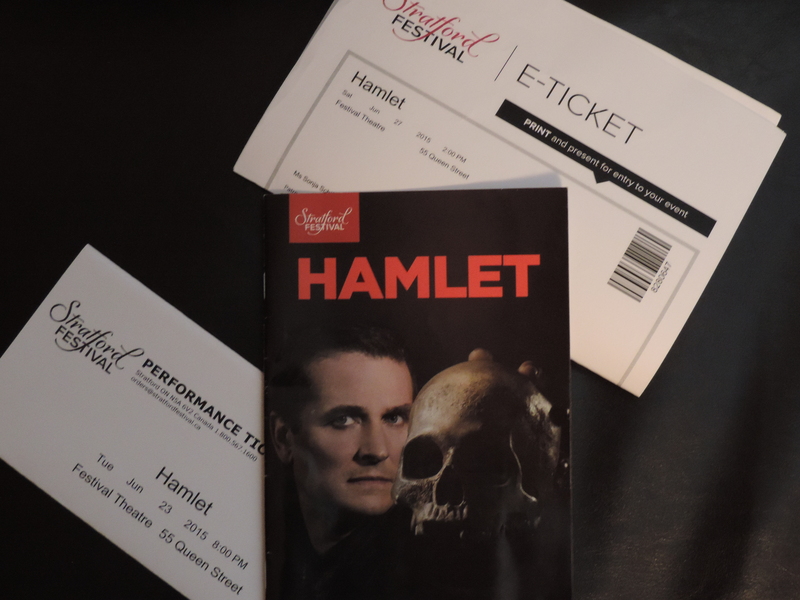 The musical itself stands and falls with the lead and the always wonderful Tom Rooney carries it with grace, stage presence and a set of pipes I didn’t know he had, having seen him only in plays before. I had a serious case of goosebumps during The Impossible Dream and judging from the audience’s reaction, I wasn’t the only one. Rooney brings something different to author and showman Cervantes, the knight of the woeful countenance and the frail old man respectively. Steve Ross was a delightful Sancho Panza, who knew when to dial back so he didn’t end up just the comic relief, but had some really touching moments too. Unfortunately, the same can’t be said for Robin Hutton. Her Aldonza was one-dimensionally angry at times, without any shades where there could have been some and had issues with some higher notes at the beginning, that she managed to hit just so, but she sounded unintentionally shrill in some parts. At least I hope that wasn’t planned, I’m not a fan of atonality and wouldn’t expect it in a musical that is not about Schönberg. 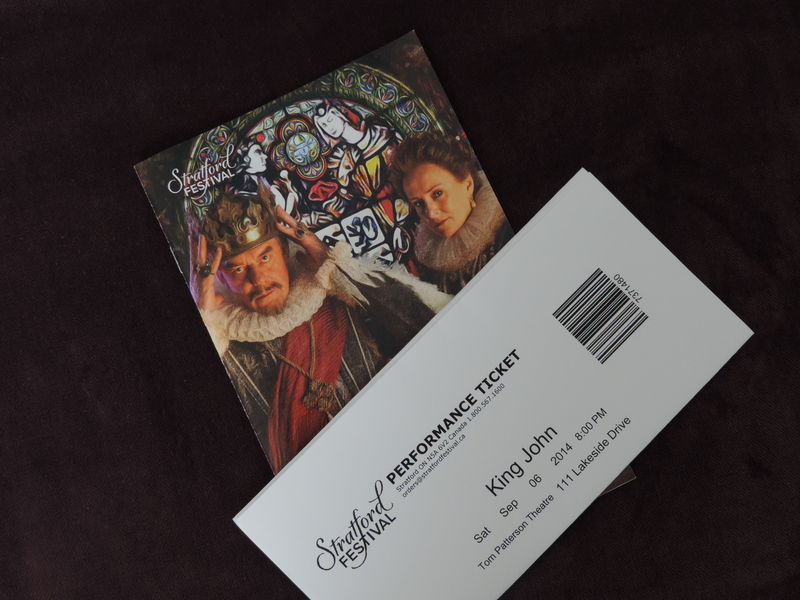 The supporting cast was great, unfortunately this musical isn’t written in a way that gives them ample time to shine. Having seen Marcus Nance in action before, I have to say he was grossly underused. Our seats were on the balcony, and there was one big fight scene where I wondered if anyone had bothered to watch it from up there during rehearsals. It is however probably close to impossible to stage such a scene in a way that it looks like an actual fight from all angles, so I’m not griping about this too much. All in all, it was a very entertaining evening that left the Avon Theatre’s patrons humming the way down the stairs and probably all the way back to their accomodations.